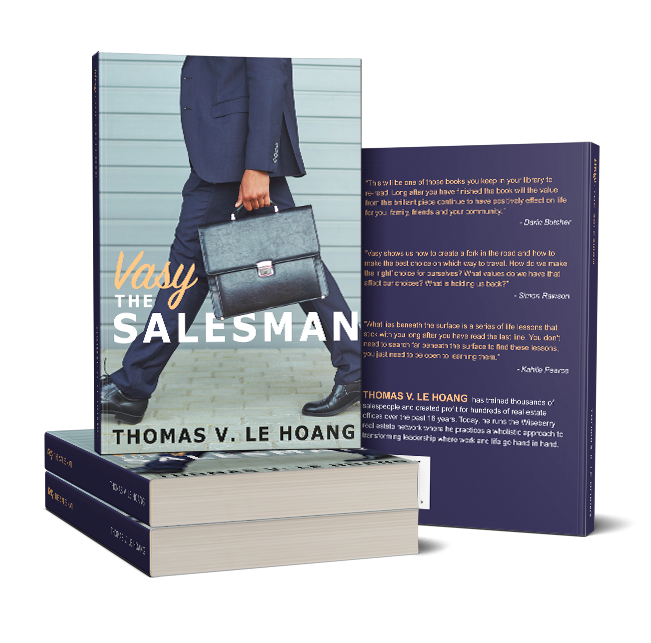 Vasy, a series of books written by Thomas V. Le Hoang, follows a salesman throughout his career in real estate. Vasy brings to light the beauty of a career in sales, the mindset of a salesman, the important support role a family plays and how to reach the next level in life. Vasy is not limited to those in real estate, but also those in any form of sales, working in a different field, looking for their dreams or supporting a partner. A different answer lies within Vasy for each and every reader. The Vasy website has been built around this series, with the aim of connecting givers and those who want to help the world they live in. How do I create a Vasy account? Once you have purchased Vasy: The Salesman, you will instantly receive your account details via email. What features does Vasy include? What are you waiting for? Jump into the world of Vasy!